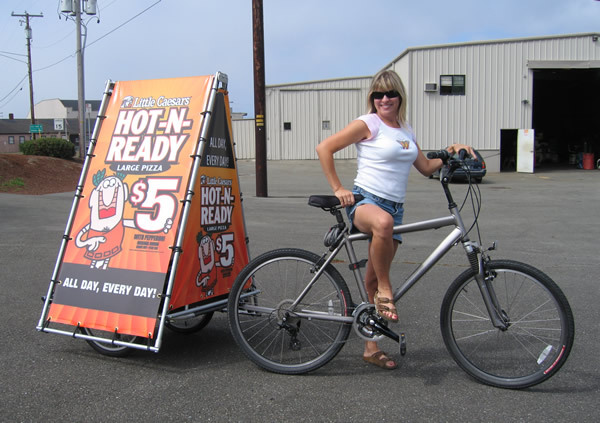 Our lightweight bicycle billboard trailers are a green low cost effective way to display mobile ads and get your message out.Lightweight aluminum bicycle billboard trailer for displaying mobile bike ads. 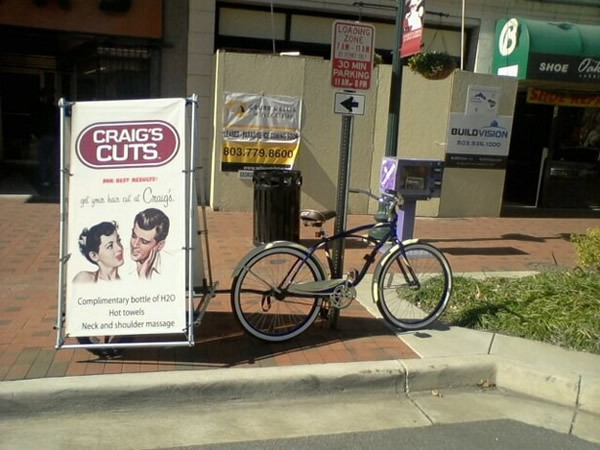 This is a versatile, low cost billboard that can be used in locations with high foot traffic. 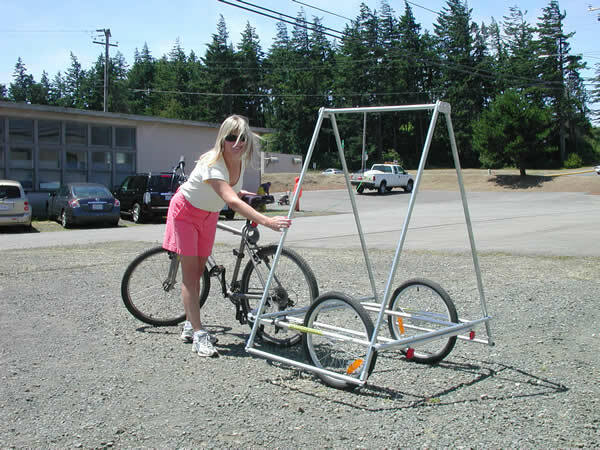 This little trailer has the ability to create large revenue! 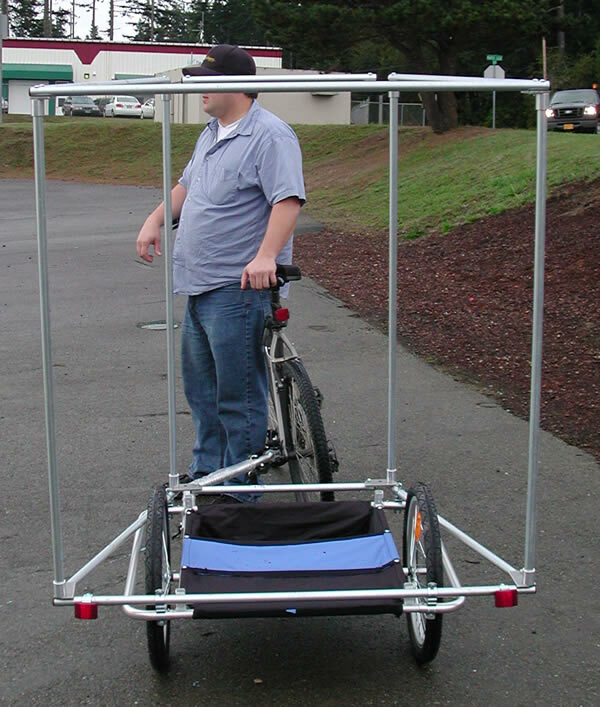 We custom design and build many variables to fit your needs. 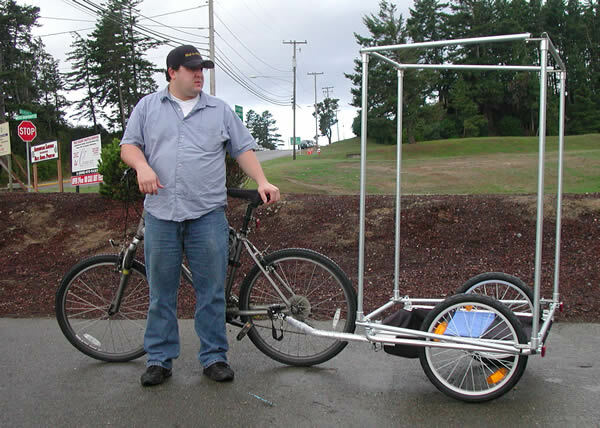 This little billboard bike trailer has the ability to create large revenue. 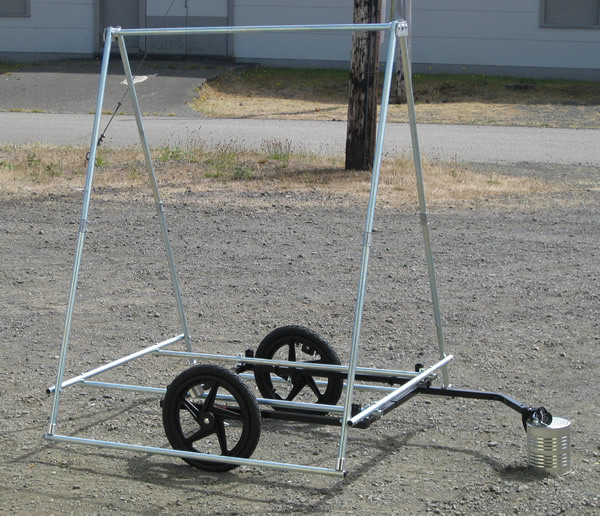 Call us with your design ideas or buy our in stock models now.